Chad Washington, a native of Pontotoc, Mississippi, joined the faculty at UMMC as an Assistant Professor of Neurosurgery specializing in open and endovascular treatment of cerebrovascular disease in 2015. Washington graduated from Millsaps College, where he was a member of Phi Beta Kappa. He then completed a Master of Science degree in Biomedical Engineering at Vanderbilt University. He subsequently obtained his medical degree from the University of Mississippi Medical Center, where he was a member of Alpha Omega Alpha. During his neurosurgical residency at Washington University in St. Louis, he obtained a Master’s in Population Health Sciences and completed an international fellowship at the National Neurosurgical Centre in Dublin, Ireland. Following residency, he gained further expertise in cerebrovascular disease while completing a fellowship in endovascular neurosurgery at the Mallinckrodt Institute of Radiology, also at Washington University. Washington’s research interests are focused on the development of new and novel therapies in the treatment of hemorrhagic and ischemic stroke. 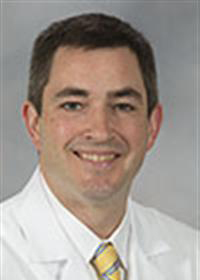 He has been awarded grant funding from the Neurosurgery Research and Education Foundation, Brain Aneurysm Foundation, Barnes Jewish Foundation, Washington University Institute of Clinical and Translational Sciences, and UMMC’s Intramural Research Support Program. Most recently, he was awarded a Career Development Award from the NIH/National Center for Advancing Translational Science. He and his wife Megan live with their sons, Collum and Hayden, in Madison, MS.